You may have heard of the Eaton brand of hydraulic motors, known for their outstanding efficiency, durable design, and compatibility with various brands of equipment. However, when it comes time to start shopping for a track motor or a drive motor for your equipment, it can be difficult to figure out which motor meets your needs. In this Shop Talk Blog post, we are going to talk about the Eaton series of LSHT motors and what they are used for. 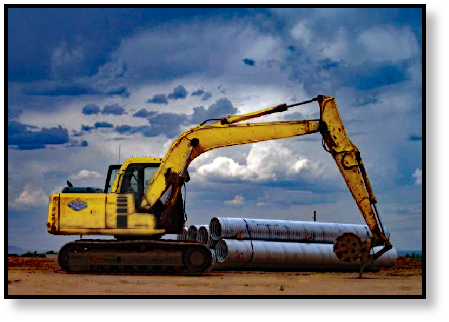 Most drive motors for heavy equipment fall in the category of low-speed, high-torque (LSHT) motors. 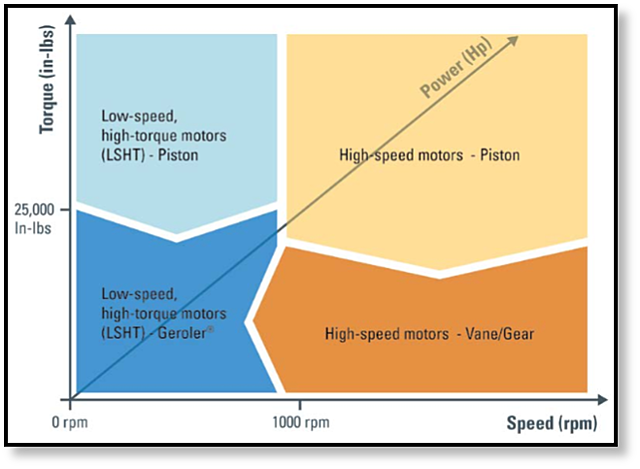 There are two major types of LSHT motors: piston motors and Geroler motors. As you can see in the figure, the Eaton LSHT motors are typically piston hydraulic motors and Geroler motors. Dowmax is one of the categories of axial piston hydraulic motors manufactured by Eaton. These motors have a double swashplate with multiple pistons and can run smoothly at speeds as low as 1 rpm. Dowmax motors offer a high starting torque, quiet operation, and excellent efficiency. They are primarily used for directional drilling and marine winches. 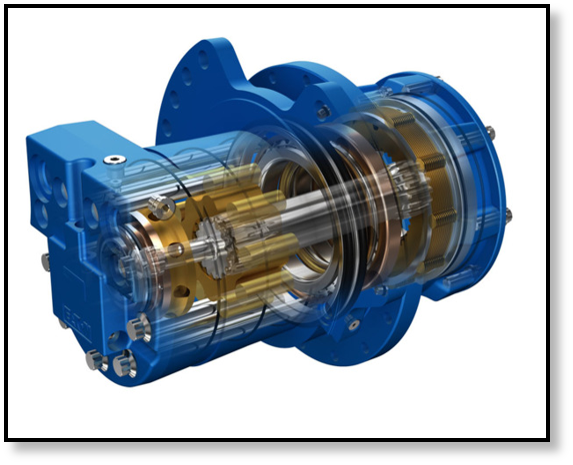 The Hydre-MAC is a powerful direct drive radial piston hydraulic motor with a cam lobe design and a total of 18 piston-roller assemblies. This hydraulic motor was designed for variable speed applications and provides 94% efficiency, less heat generation, and reduced wear. It is also a direct drop-in replacement for the Hagglunds Marathon Motor, even using the same mounting hardware and shaft. The Hydre-MAC is a very large hydraulic motor. The Eaton JMV track drive motors were specially designed for use in excavators, mini-excavators, winches, combines, pavers, crawler cranes, and speciality crawler vehicles. In short, if it has tracks and needs a drive motor, then there is a JMV series motor for it. The JMV track drive motors are axial piston hydraulic motors. They have a high torque density, excellent start up torque, and smooth operation. JMV track drive motors are a compatible fit for most of the popular installation requirements, and there are currently over 500,000 motors active on construction equipment around the world. Eaton also makes swing motors: JMF swing drive motors. 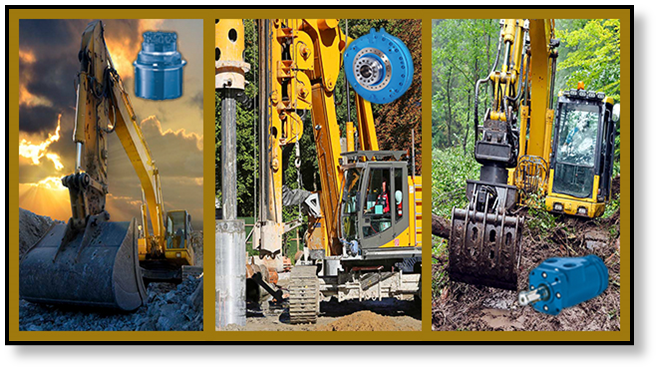 These motors are found on both mini and full-size excavators as well as cranes, drills, and concrete pumps. JMF series hydraulic motors are axial piston hydraulic motors offer high mechanical efficiency, precise and smooth positioning, and have an integrated valve design to reduce shocks during starts and stops. Like the JMV track drive motors, the JMF swing drive motors are compatible with most popular installation requirements. Geroler motors are a type of radial piston hydraulic motor. also known as an orbital motor. Also known as their Char Lynn product line, Eaton produces several different types of Geroler motors which they divide into three categories: high pressure, medium pressure, and low pressure. They are known for high torque and power density, compact design, and outstanding efficiency. The low pressure motors, also known as spool valve motors, find applications in areas as diverse as agricultural equipment, food processing, machine tools, augers, and conveyors. The medium pressure motors, which are also called disc valve motors, can be used as swing motors and are used in industries ranging from landscaping to forestry. The high pressure Geroler motors are available in three classes: HP30, HP50 Hydraulic Track Motor, and the VIS (valve-in-star) 40/45. Eaton has a long-standing reputation for quality, performance, and durability. Included in their comprehensive line of hydraulic motors including several different types LSHT hydraulic motors. 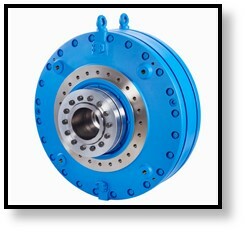 Their line of LSHT include those specially designed for use as track drive motors. Be sure to take a look at Eaton hydraulic motors when its time to replace your track drive or final drive motor.